Your test drive on November 13th – 17th will generate 200 meals for Feeding America. What’s more, you’ll receive a $1,000 BMW credit. * Feeding America, the nation’s largest domestic hunger relief organization, helps provide food through a network of 200 food banks. One dollar helps provide at least 10 meals secured by Feeding America on behalf of member food banks. ** $1,000 offer valid on eligible vehicles delivered and retailed 11/13/2018 through 01/31/2019. Eligible models include most new MY2018 and MY2019 BMWs. Ineligible models include MY18 M2 Coupe and M3 CS, MY19 X5, MY19 M2 Competition, M4 CS and M5, MINI vehicles and BMW Pre-Owned/CPO vehicles. As of October 2, 2018 the Executive Allowance Program is no longer available. 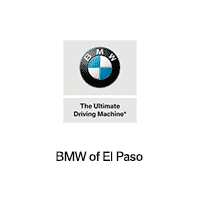 The offer cannot be combined with the BMW Corporate Fleet Program. This offer cannot be used for vehicles ordered or delivered prior to 11/13/2018 and is only valid on delivery of in-stock vehicles. Offer is available to prospects who registered and attended the Southern Region November Events – Feeding America Drive to End Hunger event or any family member residing within the same household. Offer valid on final negotiated price and may be combined with other applicable BMW offers that are available at the time of purchase, other than those excluded as set forth above. Only one redemption code per vehicle may be used. Offer valid towards purchase price of eligible vehicle. Only dealers participating in the event may redeem offer.